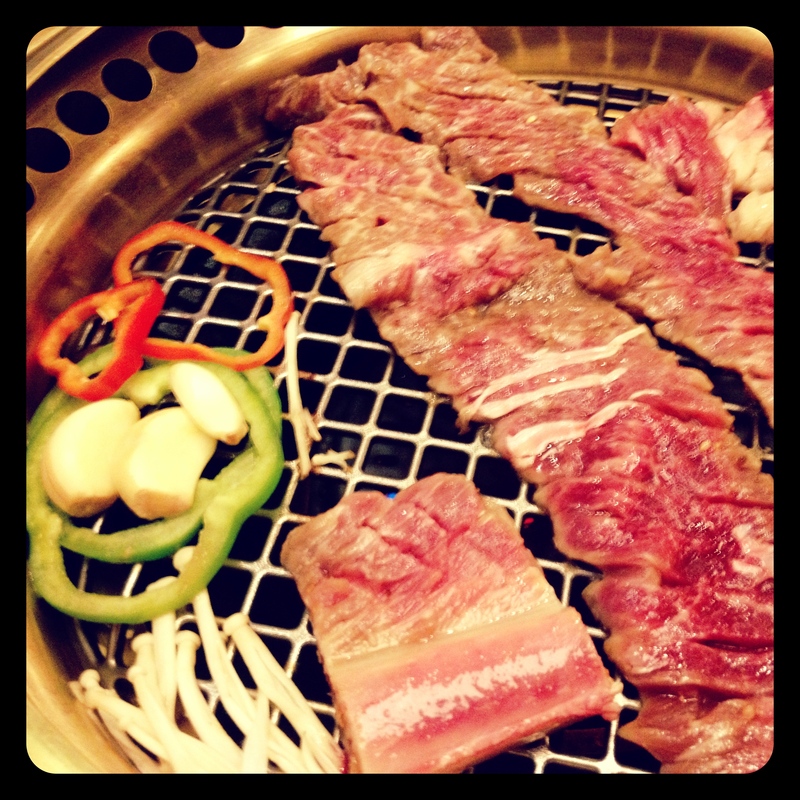 Food Trip: Sariwon Korean Barbecue | Viva La Vida! The last set of people I have yet to treat for my birthday are my Angels: Sitti, Cheson, Jill and Doc Stella, my good friends from my Landmark Forum Advanced Course. Our other friend Mimi is now based in the US. Given I’ve been having a paella celebration for my other sets of friends, I decided to try something new and share with them my love of Korean food at the newly opened Sariwon Korean Barbecue restaurant in Bonifacio High Street Central in The Fort area. This was highly recommended by Cheson, since one of his best friends Diane, owns the place and I took him up to his offer as I was always on the search of great Korean food in the Metro. 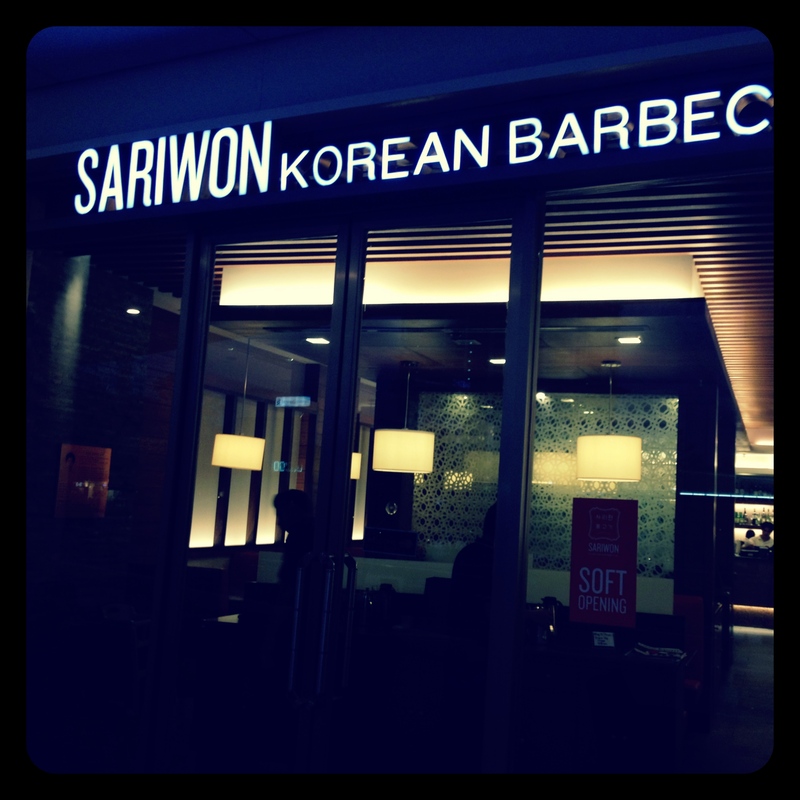 Sariwon is currently in its soft opening, starting its operation for about a few weeks already. I am a fan of their pink, white and brown interiors giving it a bright and cozy atmosphere. The high ceilings also helped in the restaurants ambiance and the booth spaces also give it a cozy look, and gives more meaning to the Korean dining experience. I arrived pretty early so I was able to catch up with Diane, the owner, who was currently managing the restaurant hands on. Sariwon is rated one of the best Korean restaurants by the Korean government, hence their decision to franchise it and bring it to the Philippines. I was actually disappointed that I didn’t get to try it when I was in Seoul, but Diane explained that its located in Gangnam which is far from the Myeongdong Area. Its a fact that it was Cheson who did the initial research for Diane during his visit last year. So far their opening month has been great because The Fort area is well-populated with Koreans as their is a Korean school in McKinley and the Korean embassy is also located there. 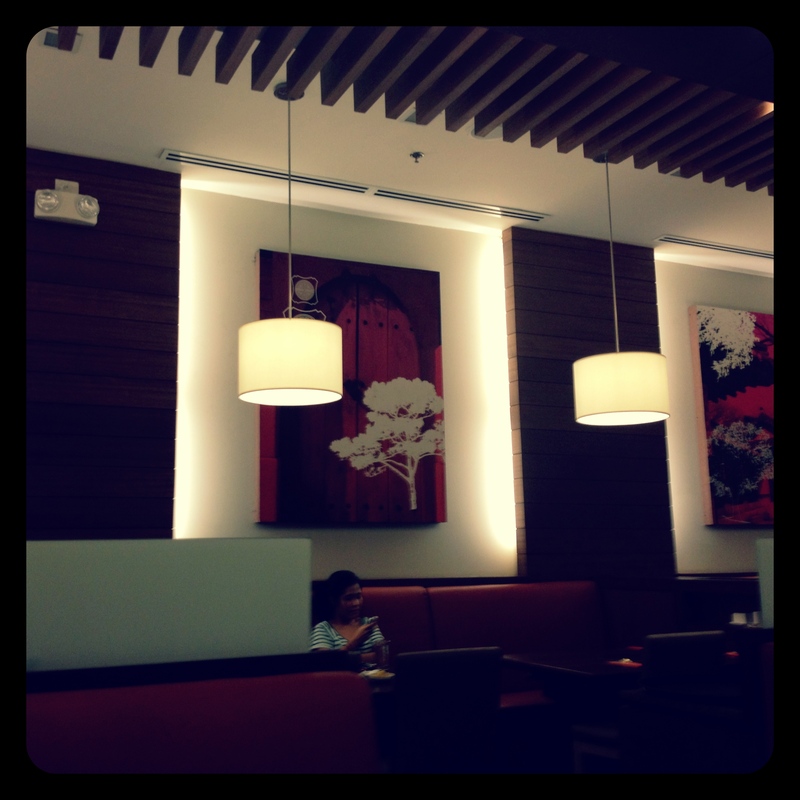 The lunch crowd is usually dominated by Koreans, but come dinner, other patrons flock to the place. It won’t be long when the lunch crowd will be composed of Filipinos who are looking forward to a good and authentic Korean meal. Since everyone was late and Doc Stella couldn’t make due to a medical emergency (she is a doctor by profession), I scoured the menu front and back for the best things to order. There isn’t a lot on the menu, but it has a healthy sampling of popular dishes. Their main courses are the Galbi (Korean Barbecue), Bulgogi (thinly sliced beef cooked in special sauce), stews, rice bowls and other foods. They also serve authentic Korean alcoholic beverages, sangrias and wine to compliment the food. 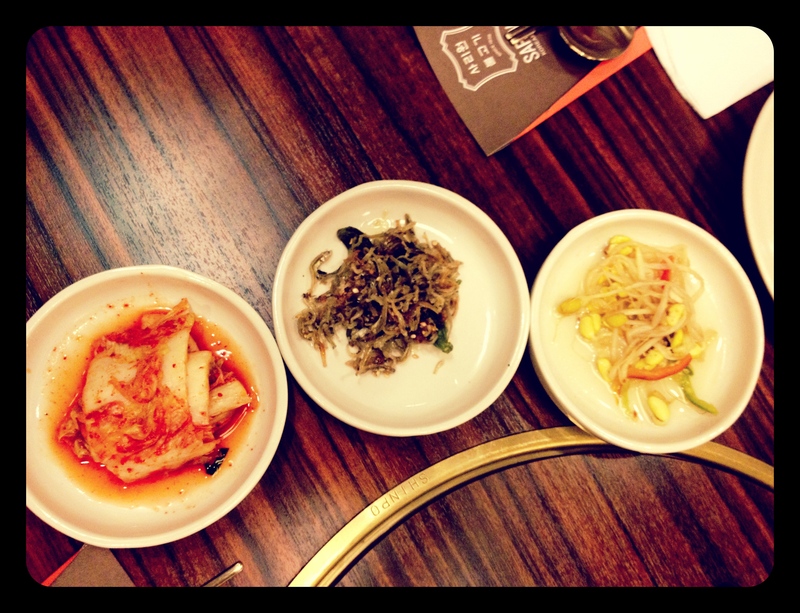 Since I was familiar with Korean food, I knew what to order and was eager to try out my favorites. Aside from its very friendly and helpful staff, one of the things that really fascinated me were these hot towels served to the guests before eating since some items were eaten with bare hands. 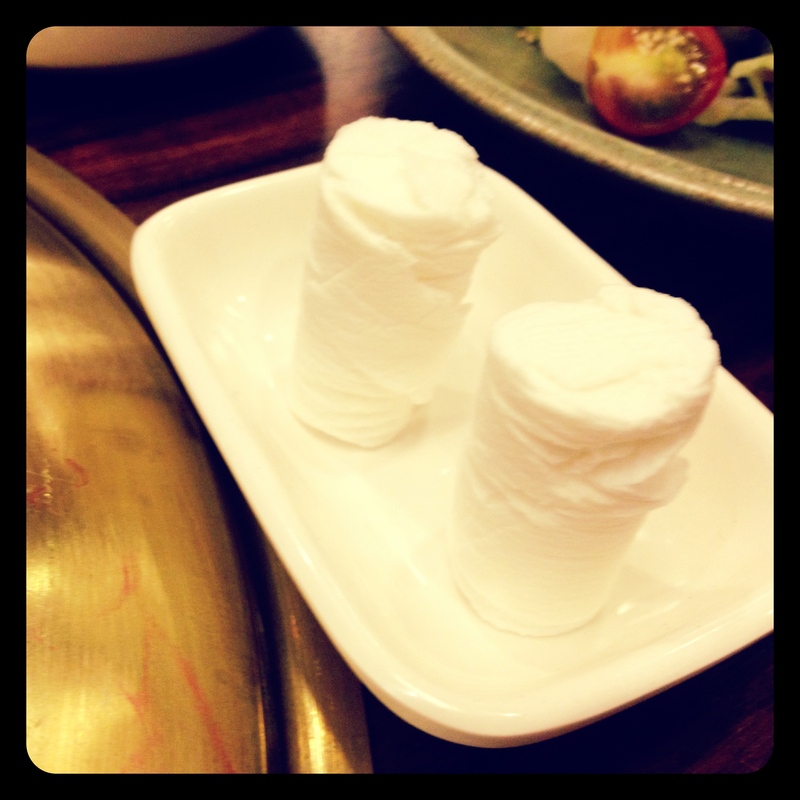 White tablets were served on a plate and hot water was poured on them to expand. I laughed in delight as they looked like marshmallows! As with any Korean restaurant, a seven plate appetizer (one not included in photo) was served to guests as complimentary to the dishes. And it was also unlimited! My favorites were the mashed sweet potato, friend dilis (but I think this is another fish called locally as dulong which is much smaller), and the kimchi. I am not a kimchi fan, but I especially liked their kimchi with it not too spicy but just the right amount of kick and tang. 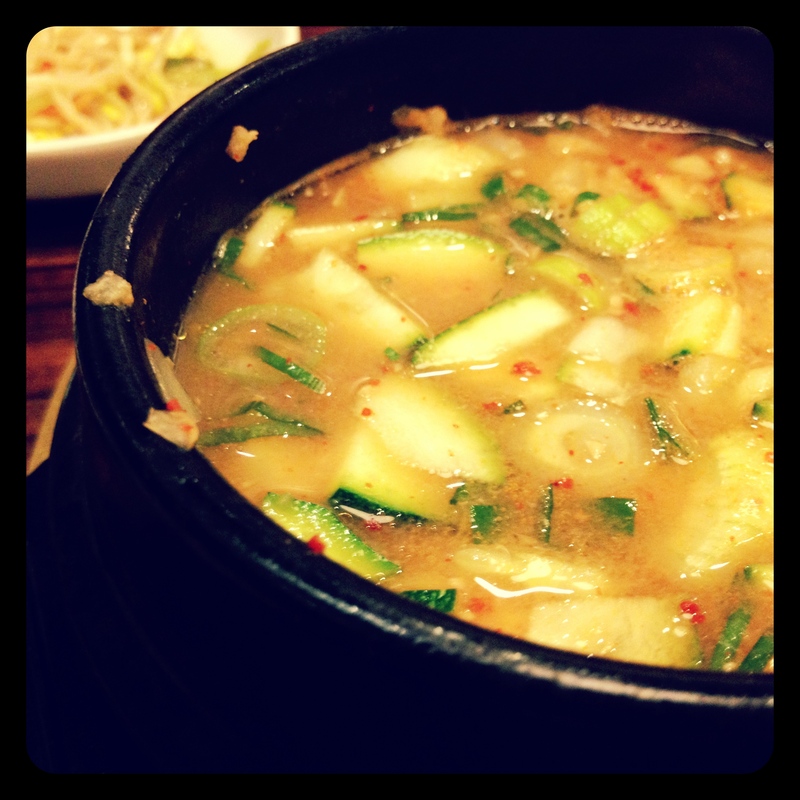 While waiting for them, and since I was hungry, I first ordered their vegetable stew, composed on fresh zuchinni, onions, spring onions mixed with a miso broth and korean spicy bean paste. It was just so yummy that I actually had one to myself. It is also served with rice but I didn’t touch that. I absolutely forgot to take a picture of the Pajeon (Korean pancake) and I have to say its the best pajeon I’ve tasted. I don’t really order it from other restaurants since I knew how to cook it and its quite simple, but I took Cheson’s advise to try it and I didn’t regret it. 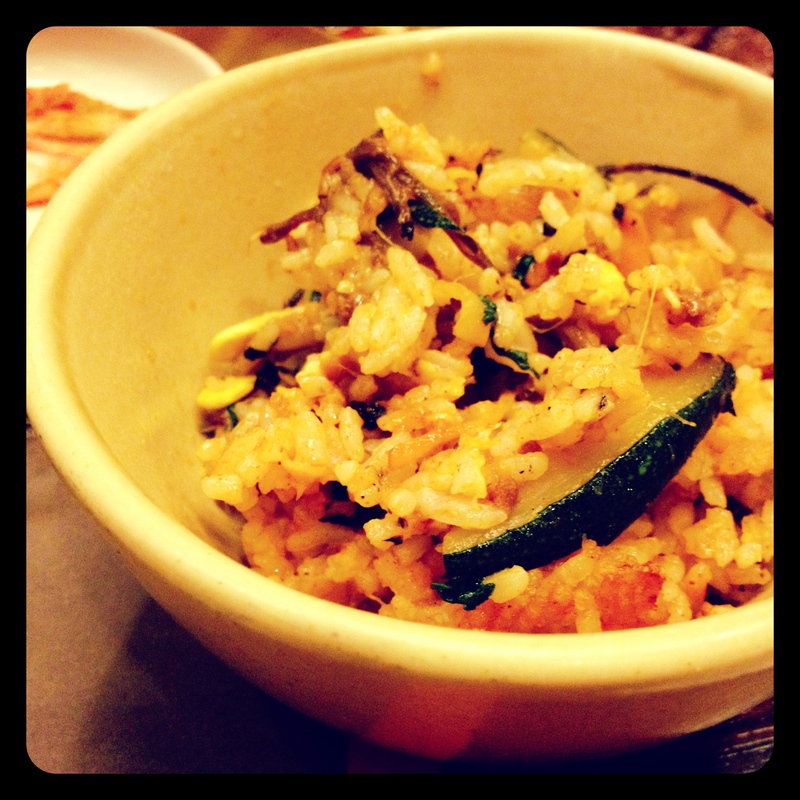 Ofcourse I didn’t forget to order my favorite Korean dish of all – the Bibimbap. This is their version of Donsot Bimbimbap, which is rice, veggies, bean paste, egg and meat are mixed and cooked together in a stone pot. It was really yummy and as good as the one I had in Korea. 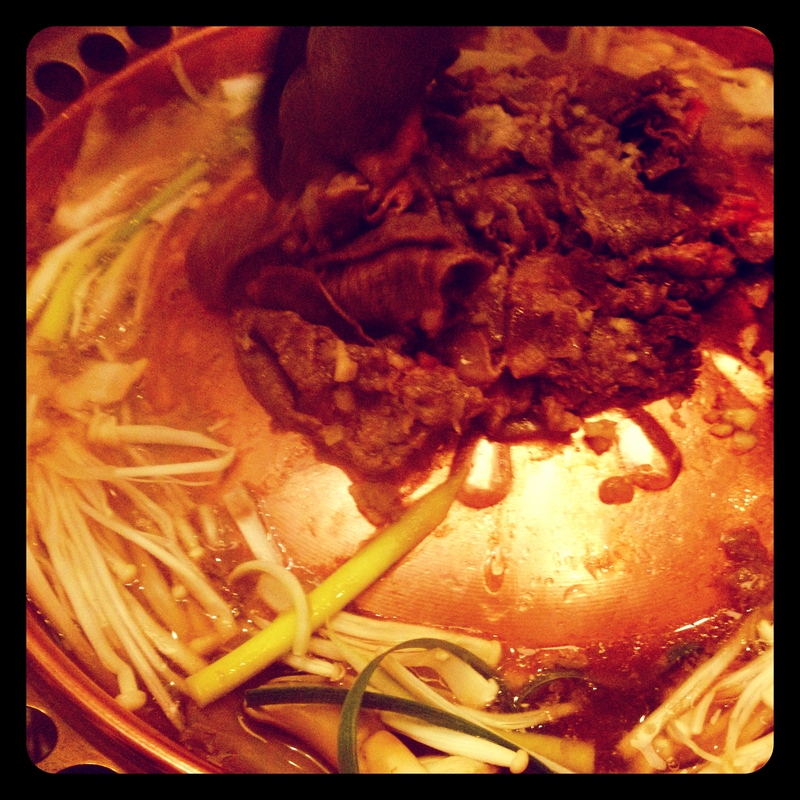 From the two popular dishes, the first to be served was the Galbi. This is cooked right in front of you in smokeless grills from Japan, and with veggies. Their wait staff cooks this right in front of you for a few minutes. This is served with lettuce leaves in which you wrap the beef and dip in sauces. The meat is really good and the saltiness is neutralized by the lettuce making it a very healthy meal. This is actually my new favorite thing to eat in the restaurant. And its the first time for me to experience how to eat authentic bulgogi. I am so used to the pre-cooked stuff served in other restaurants so this one is a real treat! After the galbi is finished, the waitress removes the grill and replaces it with a special cooking dome for the bulgogi. 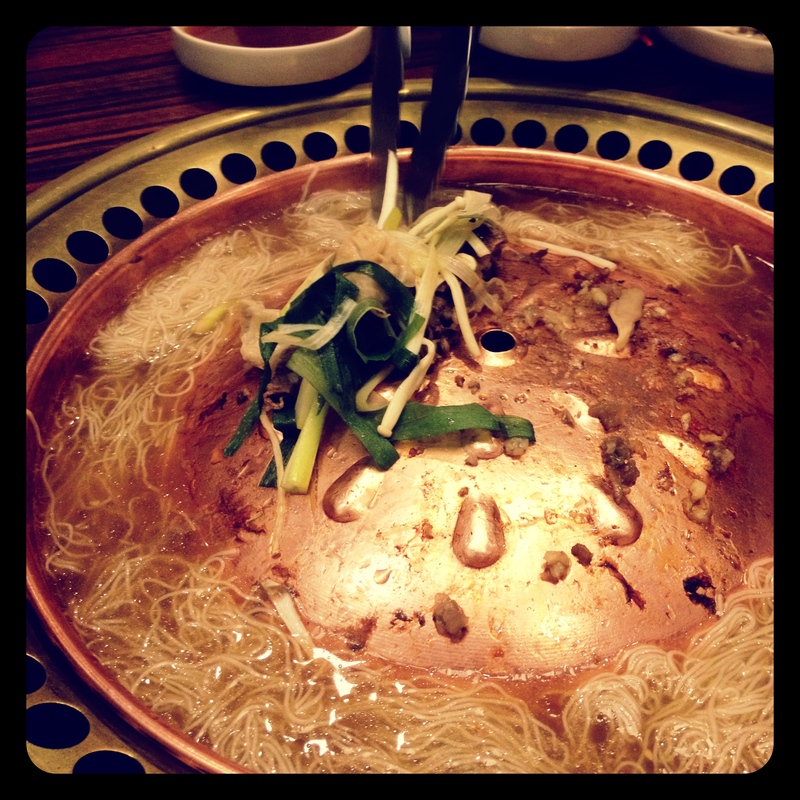 The meat and vegetables are placed on top to cook while special sauce is poured over and pools on the side. After cooking, sweet potato noodles are placed in the sauce and served separately in little bowls. I thought it would taste bland and the noodles to be too soft to chew, but its surprisingly not! The noodles are firm and the sauce is actually sweet. 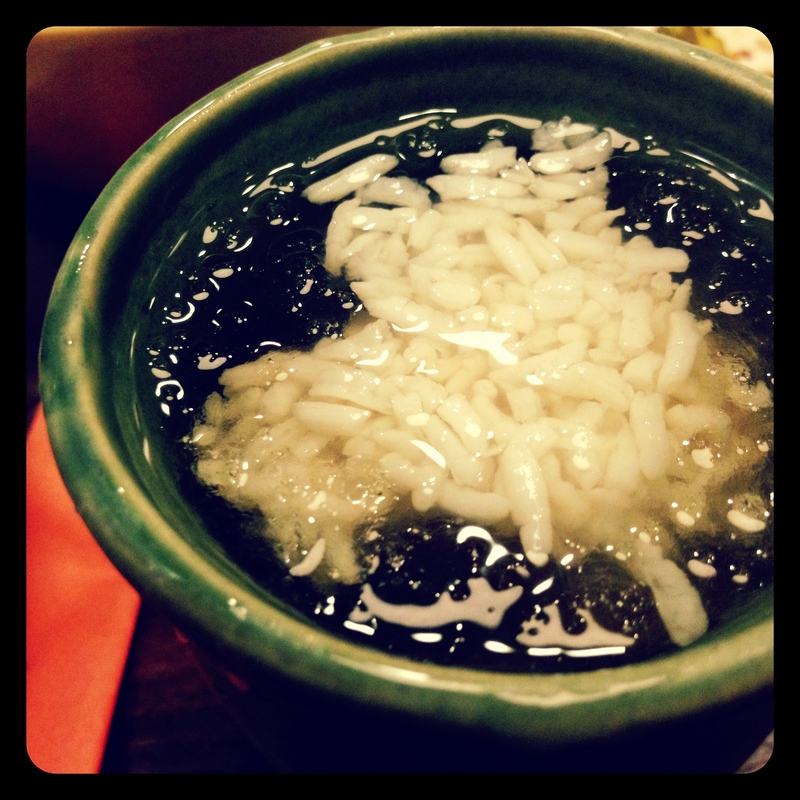 After dinner, we were given a complimentary dessert of iced malt and rice drink. I was skeptical at first but it was really good! 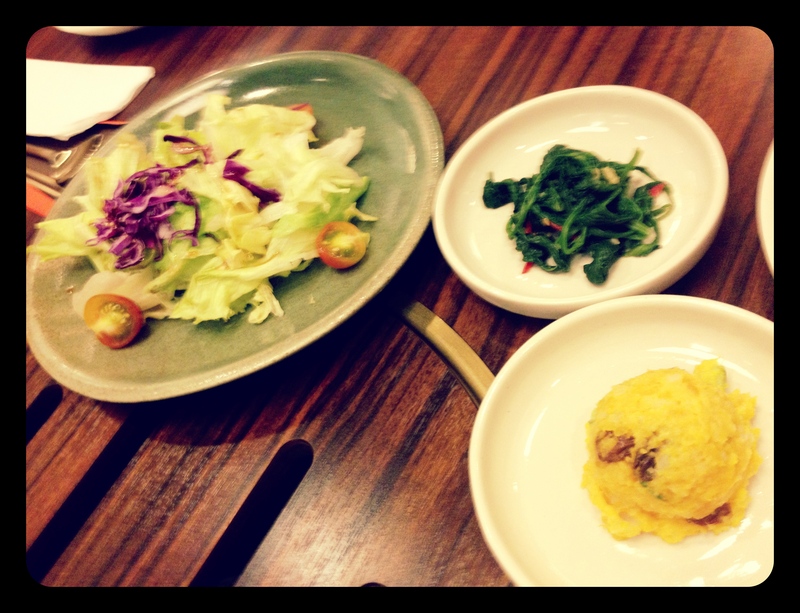 Over-all, I really enjoyed my experience in Sariwon and would definitely eat here again and again. Its reasonably priced at around P600-700 per person. 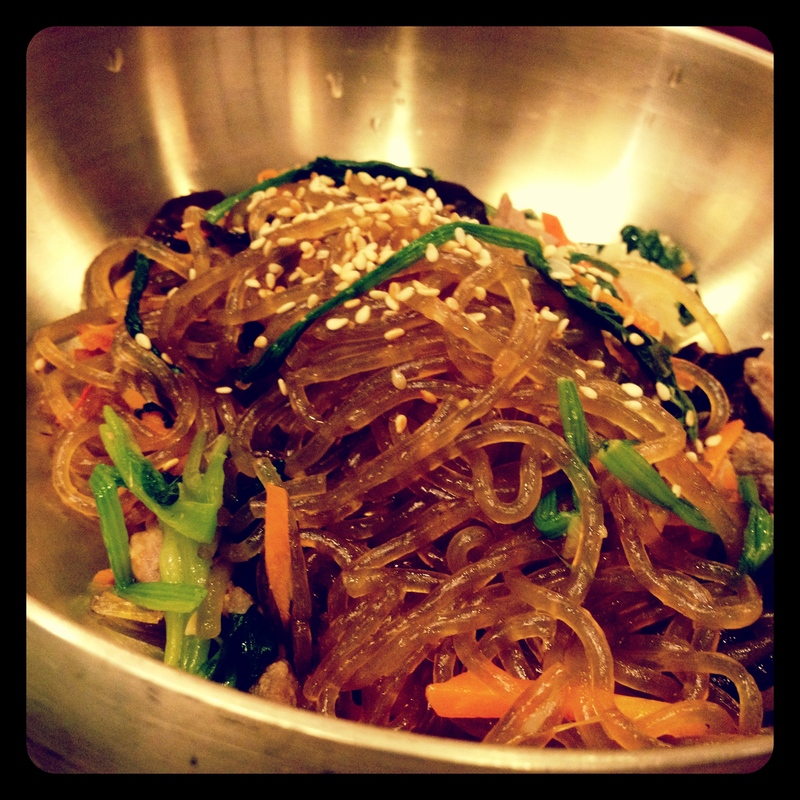 This entry was posted in Food Trip and tagged food, Korean, Sariwon by Roxanne Calingo. Bookmark the permalink.